The mysterious species called Flickers are thought to have a base in the outer solar system. A task force is sent to find out. Living in the Kuiper Zone, the Flicker want nothing more than to be left alone. But the solar system belongs to humans. Can the two coexist? Or will history repeat and contact lead to war, as has so often happened in humanity's past? Against a species far more advanced than the beings they call Terrans? This is my first book by Jack L Knapp that I have listened to. I was pulled into it by the excellent narration. Typically I listen to romance or mystery books, so this is way different for me. The imagery in this book was great! Although this is part of a series, it was very easy for me to follow along. Tom Lennon did an incredible performance with this book and the various characters. He adds the right emotions and suspense to the story. Each additional entry in the New Frontiers Series improves on the prior ones. 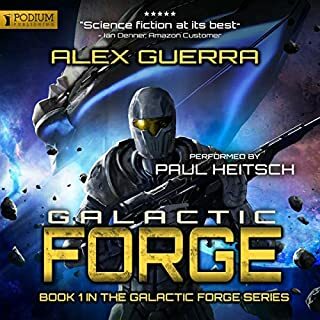 The relationship with the Flicker society and the confrontation with the BEMs moves the series more into the science fiction category than just the near future action/adventure of the previous installments. Tom Lennon gives his usual strong but not overstated narration. My only real complaint with this series is at times it moved at a snails pace. Jack Knapp gets an A+ on detail and science, but at best a D on brevity. Not in this one. There is finally enough excitement to make the book hard to put down. Real real honest to God space battle scene! Truly fascinating alien culture, the Flickers, that are so well fleshed out they really do feel real. BTW, they are not the Bug Eyed Monsters, their alien enemies are which makes the title a little deceiving. Same narrator as all the others which is fine with me, very clear and easy to listen to. I leaped right into this series with the fourth book. 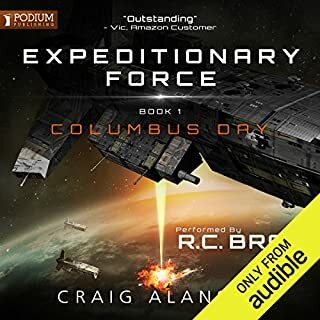 i received the Audible format for free in exchange for an honest review. No problem! Well, there really is a problem....I want to start at the beginning book. I will gladly exchange a credit for each of the previous books in the series. I can unequivocally recommend this book and this series. Now for the obligatory: "I was given this free review copy audiobook at my request and have voluntarily left this review." Maybe the best thought out alien species I have ever read about! Exciting story line. Same old characters as the earlier books, but more action and emotion. Narrator does a really good job in this one. 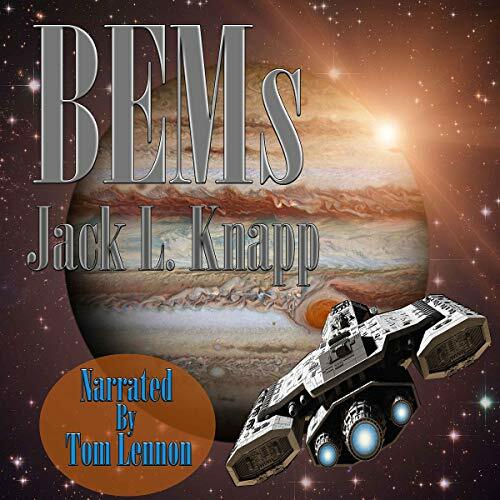 BEMs: Bug Eyed Monsters: Book Four, the New Frontiers Series. 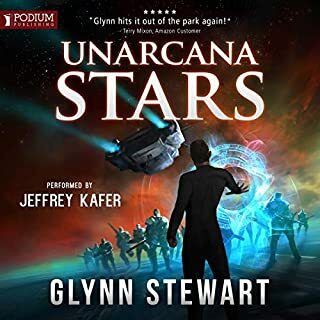 A Great read/listen, A scifi thriller that is really very entertaining. No graphic violence and virtually no bad language. 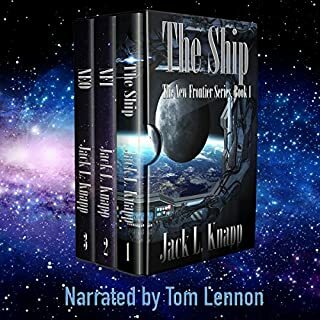 Narration is first rate, and Tom Lennon's voice is clear and very easy to listen too. Looking forward to the next in the series. 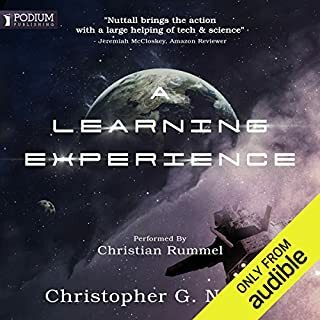 I highly recommend this audiobook to any one who likes scifi or thrillers. I have to say, I really enjoyed this book. I loved the the aliens and sci fi. I thought the narration was great. That I started the series with this book wasn't an issue. In fact, it made me want to back track for the previous 3 books. All in all, a great listen. I found this to be really slow, I had to stop and listen to other audiobooks. It is an interesting plot but I really did not want to know about the money and what they should cut to save money. The author went into great detail in what they where building and what they got from other countries and what should be stopped. I honestly did not really care. I felt I was listening to someone reciting a text book at times. I can see that the author knew in detail about the space ship and what the company was doing in great detail and the world he build. Ironically enough this made it more realistic. I love SciFi so this would have been up my street but I found it slow going. It is not for me but others might like it more then I did. LOVED IT!! Great continuation, I'm loving this series! Great story, well written, and narration was awesome. I have only good things to say, I really enjoyed it and am going to dive into #5 next next! I just couldn't get very involved with the story. I'm not sure what it was, perhaps not as much action as I'm accustomed to. I was given this free review copy audiobook at my request and have voluntarily left this review. We let go because we must. Earth had started it's tentative journey into space when first contact was made with an alien space vessel. It seemed only sensible, therefore, to explore the Jumper belt to determine if outposts had been placed there to monitor Earth. A task force, however, found a single small community, calling itself The People. Although physically similar in appearance to humans, their life philosophy was very different. This book is a fascinating first contact discovery story, a philosophical and cultural clash of beliefs and aspirations explored, trusts tested, whilst all the time preparing for an anticipated war for survival. This is not the usual fast and furious battling, though there is some fighting. Instead, it is more talk than physical action. And there is plenty of detailed conversation, from careful consideration of how to prepare and maintain a task force, which ships to use and how to keep the provisioned, financial details of how to pay for it all, from the assets of the company, how to avoid bancrupcy and deal making with governments to assist with the financing, all filling the opening chapters. Stick with it, though: the story does open up and an actual story begins to emerge. And it is fascinating, the aliens carefully detailed, real and intriguing. 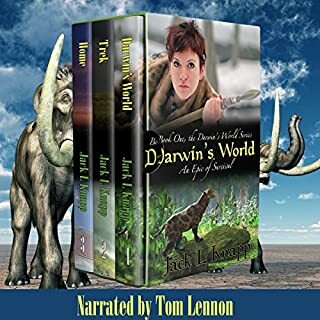 With so much of the novel being presented in a conversation style, it is important that the narrator is able to give individual and distinctive voice to all of the main protagonists, and in this Tom Lennon does not fail. Additionally, his pleasant voice is easy on the ear, well paced and intoned. The only criticism is that this reader would have preferred a brief pause between scene changes, for clarity. My thanks to the rights holder of B.E.M.s who, at my request, freely gifted me a complimentary copy, via Audiobook Boom. The start was slow and, for this non technical reader, rather tedious and wooden. But the dialogue was well written, natural in delivery, and eventually the story opened out to become both fascinating and fulfilling. Not for everyone. Die hard battle addicts will be disappointed. But the emerging understanding of the Flickers, contrasted with the lives of the humans is well done and ultimately very satisfying.